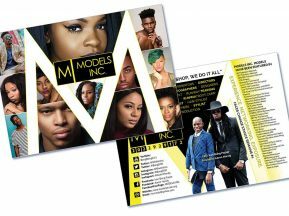 Are you intimidated by graphic designers? You don’t have to be. Here at My 2 Cents Design we want to help to take the pressure off you and your business by walking you through the design process. Our goal is to make the design process easier while delivering high-quality, personalized designs that effectively communicate the type and quality of your child-care company. We also take pride in supplying high quality designs you will be proud to have represent your child-care business. Think Postcards to Advertise Your Child Care Business! If you are looking for a way to increase enrollments in your child-care program, think postcards! Skillfully designed postcards can quickly communicate what your business offers and advertise events like child care open-enrollment, children’s summer camps, fundraisers, thank you cards for parents, and more! If you are looking to mail the postcards yourself, we will create a custom child-care postcard design to use for personalized mailings. If you want to save money on postage, reach more homes quickly, or just don’t have the time to address and mail all the postcards yourself, we can design an EDDM postcard for your child care company. Every-door-direct-mailers can be sent to targeted home groups in specified areas to advertise your business, communicate the type of child care you offer, and provide information about an upcoming child care event, such as an open-house. 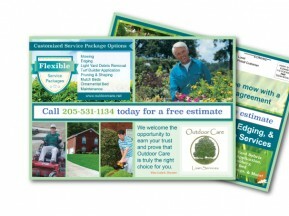 We would enjoy helping you with your print-advertising goals. Call 1-800-619-4194 or email vivid@my2centsdesign to find out how we can help you.